Comprehensive preventive care and preventive and hygiene services includes far more than cleanings, hygiene instructions, and check-ups. 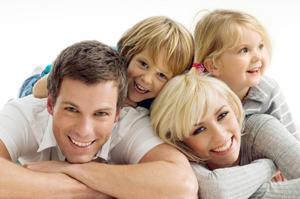 During your visits to our office, we perform a thorough assessment of your oral health. Healthy habits are important to keeping your teeth for a lifetime and healthy teeth and surrounding tissues are the foundation to great overall health. Plus, teeth, gums, and bone around the teeth need to be healthy and clean in order for our dentistry to be successful! The professionals at Fischl Dental Associates are devoted to the prevention of gum disease in your lifetime, and we offer a full array of hygiene services to help ensure our success. If periodontal disease is detected, we will recommend action to treat the disease aggressively. Periodontal disease is a disease of the gums that can also affect the bone. This disease has been called the silent killer for many years in dentistry, and because it can be painless and asymptomatic, patients sometimes don’t even realize they have it. In addition, periodontal disease may also be an indicator for diabetes and heart disease. Some of the signs and symptoms of periodontal disease are swollen, red, bleeding, receding, or tender gums. Bad breath can also come from the gums. We believe in early diagnosis and treatment of the problem because, once bone loss has occurred, we can’t get it back, and very often teeth are compromised or even lost. If there are areas of concern, we offer you the latest in periodontal therapy techniques. If you are concerned about the condition of your gums or have questions about our hygiene or periodontal services, please contact Fischl Dental Associates today.